Notes: Numbered 2 on delivery, renumbered 74 in the IOMRS big fleet renumbering programme October 1968. Withdrawn and sold by IOMRS in 1974, over the years passing to a variety of preservationists. For a period the bus was reregistered 85 EBK. 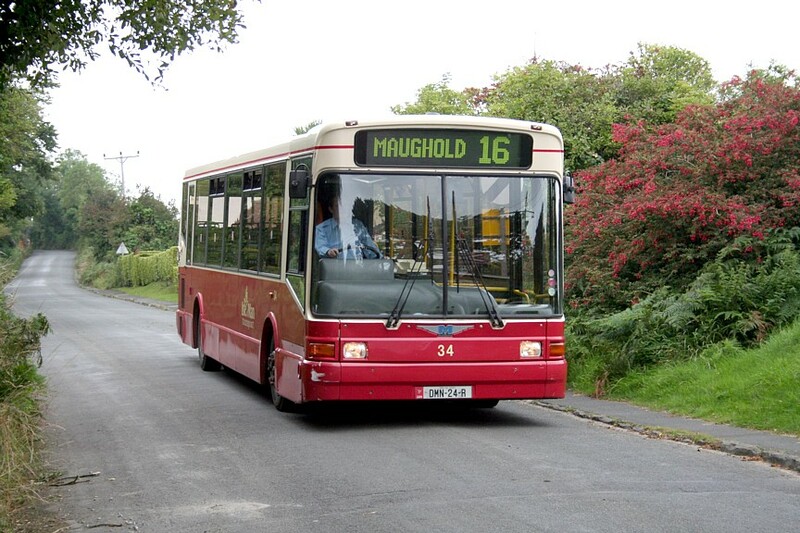 Returned to IOM Transport as a fully restored vehicle, the bus returned to psv status in June 2003. Following repaint during Winter/Spring 2008 the Titan was finished with riginal style fleetname and once again carries the fleetnumber 2, for the first time in forty years. Notes: Trident 16 is the 50th low-floor double deck bus delivered to IOM Transport and carries a chip for this to be displayed in the destination screen when appropriate. Although built as Transbus Tridents, the buses were delivered without exterior makers' badges and had Dennis Trident versions fitted shortly after delivery. Isle of Man Depertment of Community, Culture & Leisure has four depots, Douglas Railway yard, Peel, Port Erin and Ramsey, but individual vehicles are generally not specifically allocated to a particular garage, although in a recent departure from tradition, a number of buses have been specifically allocted to Ramsey depot and feature a small 'R' after their front and rear fleetnumbers. Additionally a number of older vehicles have an 'S' after their front and rear fleetnumbers, which indicates vehicles that should be the first call for schools buses, although in practice it is common to see these on regular service as well. Side fleetnumbers on both the 'R' & 'S' vehicles do not sport the letter. Where a number in Roman numerals is quoted after a registration number, this refers to the number of psv's to have carried this mark eg MAN 93F[ii] indicates it to be the second bus to be registered with that number.